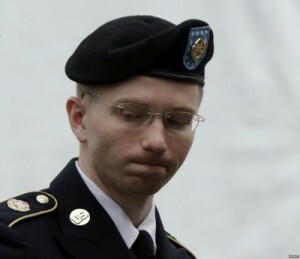 Text of Bradley Manning’s Letter to President Obama | कृति मेरे मन की……. I initially agreed with these methods and chose to volunteer to help defend my country. It was not until I was in Iraq and reading secret military reports on a daily basis that I started to question the morality of what we were doing. It was at this time I realized that (in) our efforts to meet the risk posed to us by the enemy, we have forgotten our humanity. We consciously elected to devalue human life both in Iraq and Afghanistan. When we engaged those that we perceived were the enemy, we sometimes killed innocent civilians. Whenever we killed innocent civilians, instead of accepting responsibility for our conduct, we elected to hide behind the veil of national security and classified information in order to avoid any public accountability. If you deny my request for a pardon, I will serve my time knowing that sometimes you have to pay a heavy price to live in a free society. I will gladly pay that price if it means we could have a country that is truly conceived in liberty and dedicated to the proposition that all women and men are created equal.